In collaboration with the Allegheny County Department of Human Services, For Good PGH has launched Foster Good, an initiative to provide foster children with one-of-a-kind suitcases to hold their belongings. Earlier this year a friend, Suzanne Acrie, contacted us, expressing her concern that foster children she worked with received clothing donations in garbage bags and asked if we might be able to help. 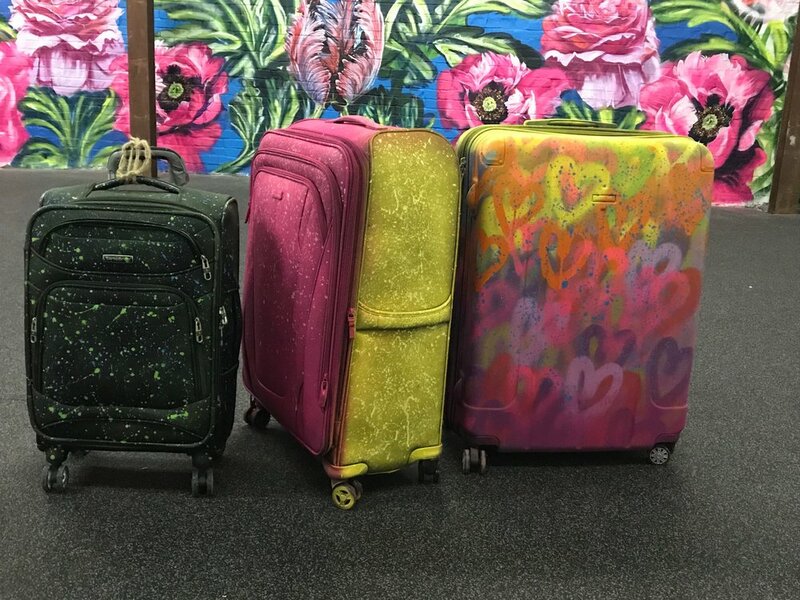 Since that call, For Good PGH has been collecting donated suitcases and working with local artists who are using them as a canvas to create one of a kind pieces. These suitcases will be provided to the children, with the hopes that they can accompany them on their journeys and serve as a visual reminder of the love that is in the world for them. If you are interested in helping us by donating a suitcase, painting, or organizing a group to paint, please let us know at forgoodpgh@gmail.com. Huge thanks to our partners and artists!